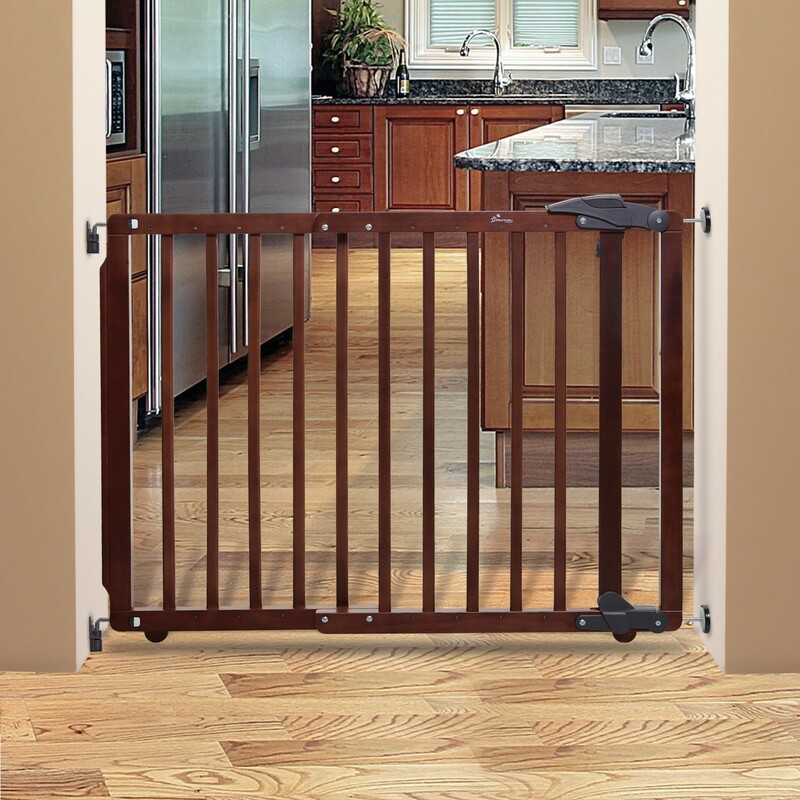 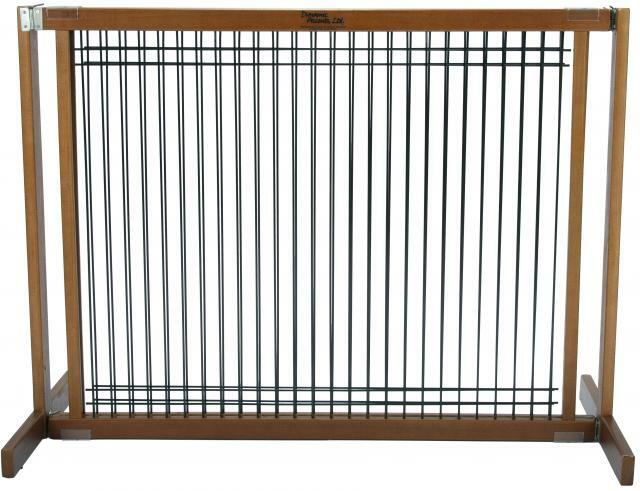 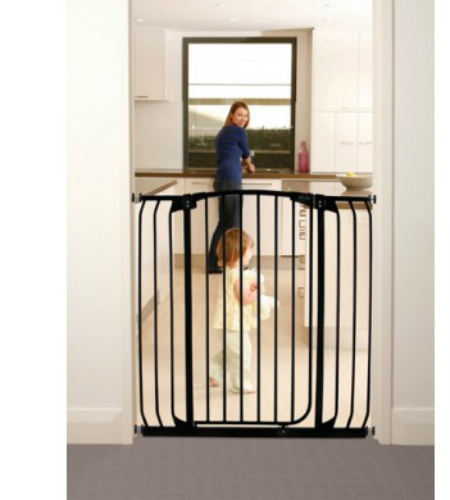 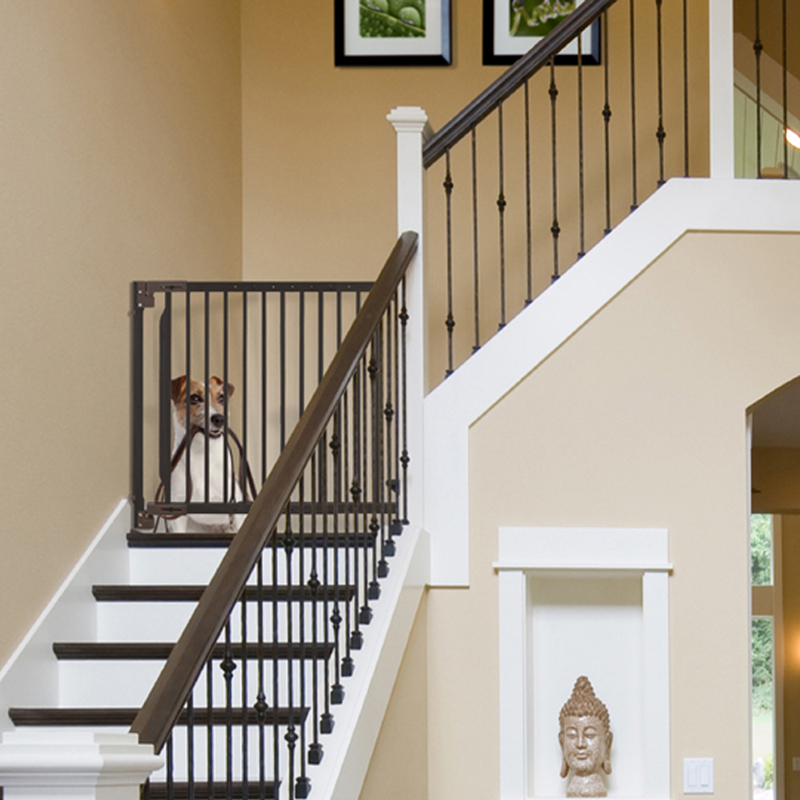 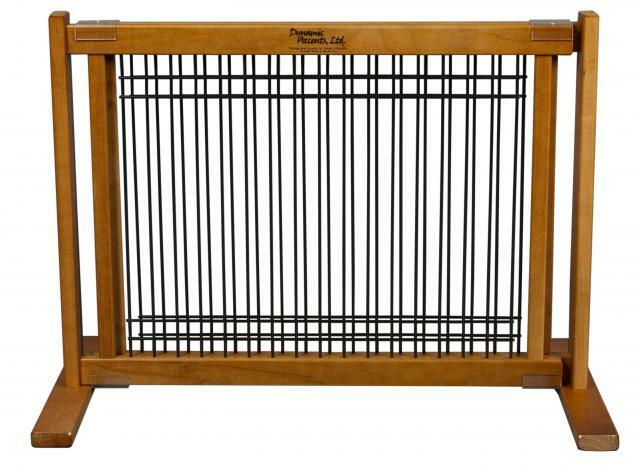 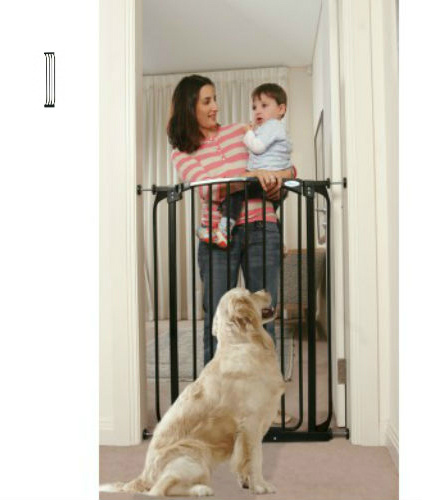 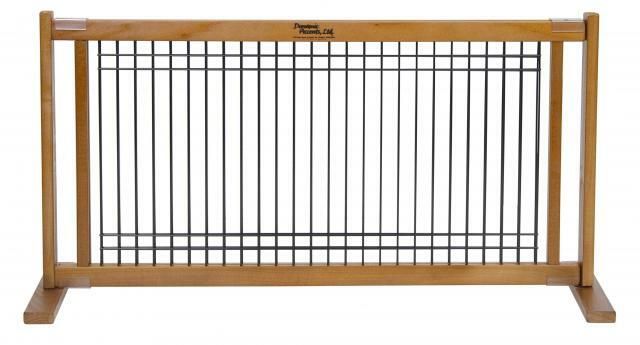 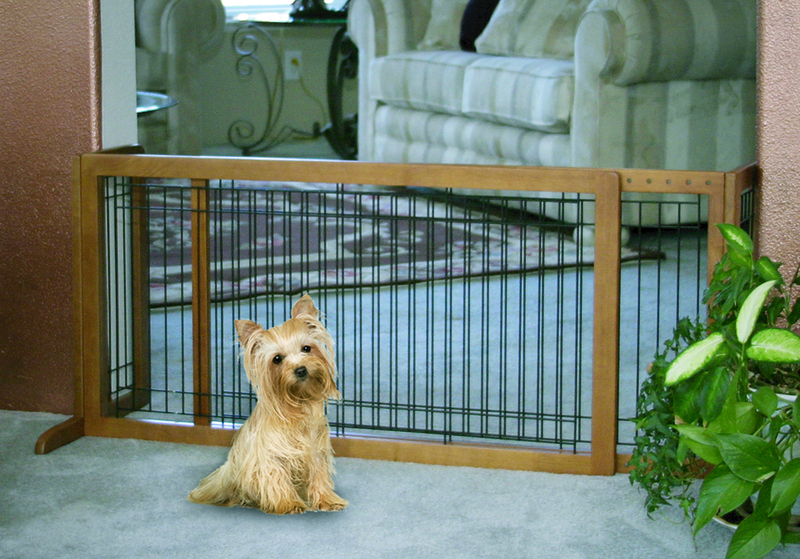 The white Liberty Security Pet Gate Plus 3.5 + 7 inch extensions is suitable for doorways and hallways. 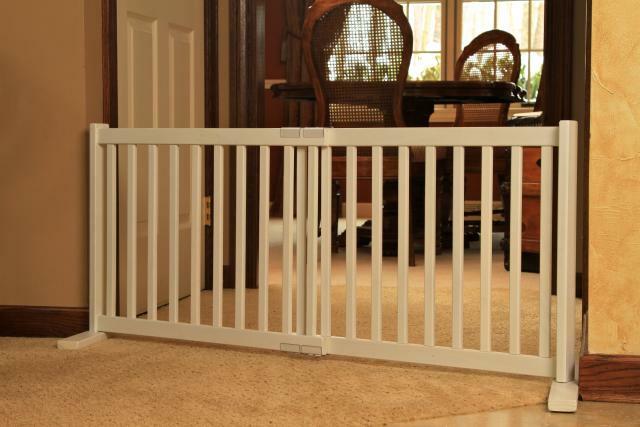 Gate stays open in both directions. Simple one-handed operation. 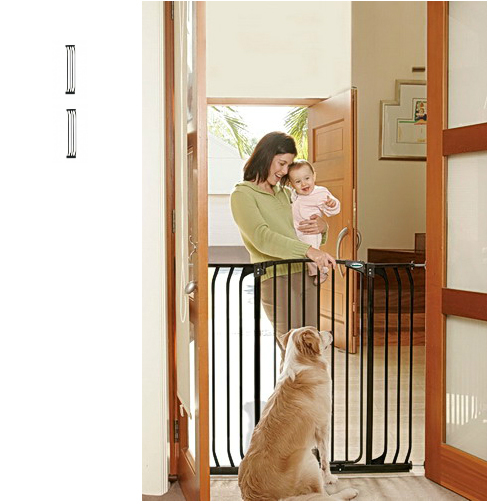 Pressure Mounted and easy to install.